Home / Translation practice / How many CAT tools should you need? How many CAT tools should you need? On my computer I have an incredible amount of translation software installed. There are Trados Studio (including 2017 for beta-testing purposes), MemoQ (different releases, which can be installed alongside each other), Memsource Editor (lightweight but powerful), Across (too heavy to work with on a regular basis), Transit NXT (required by a client but never used), Wordfast (license expired), Fluency (won in a contest but never used) and Idiom WorldServer (idle as I use MemoQ to translate these kind of files) to name a few. As a technology fan always eager to learn new things, I think I have many more CAT tools than the average translator. That raises a question: How many CAT tools should you need? I suppose there might have been a time during which things were easy for translators. First, there were no CAT tools whatsoever (although I don’t suppose that was easy either), and then they evolved one by one. Now that CAT tools have matured, they have given rise to a new and, in some respects, problematic trend – a continuous expansion of the CAT family with new young CATs in as many sizes and shapes as any other family: tiny tools, lightweight tools, smart tools, advanced tools and even headstrong tools. In the introduction to this article a couple of names were mentioned, but they can be extended to many more. 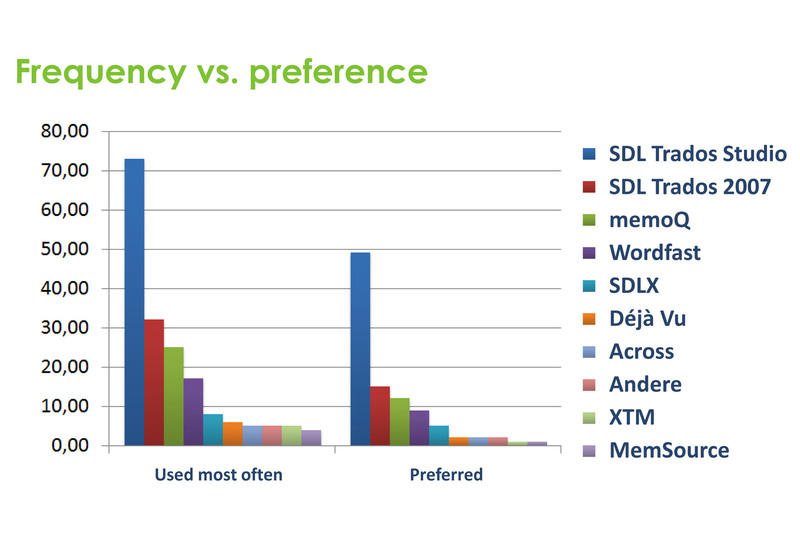 How about POEdit, Swordfish, Deja Vu, Alchemy, Translation Workspace, SDLX, CaféTran, OmegaT and Leaf? They’re all on my computer too – not because I prefer them but because I need them sometimes. Or because clients required me to install some particular tool (often for free) and never came back to grant me a job using it. And then there is a whole new branch of the family: a somewhat fluffier looking one with a strong core. It’s the cloud offshoots with names like Smartling, XTM, Transifex, Crowdin, Wordbee, Lilt, SmartCat and Zingbee (not yet introduced). These tools often offer the same functionality as the ancient CATs but with the power of cloud computing, the advantages of rolling out new features and functionalities quickly, and the extensive compatibility old (but competing) CAT tools don’t and won’t always offer. * Read the disclaimer about these statistics at the bottom of this article. In short, there’s a great choice when it comes to CAT tools. In this article there are 25 members of the extensive family named and a few more can easily be added. They all have their unique features, but what they have in common is that they aim to improve the work life and workflow of translators. Back in 2009, I started out as a translator without any CAT tools, spending time with copying and pasting repetitions and formatting the translated text according to the source the client sent me. Thanks to CAT tools that is no longer necessary. Whatever filetype you might need to translate, you can simply import the source document, add a translation memory and benefit from improved productivity, efficiency and making more money at the same time. However, that’s where the confusion pops in. Nowadays there is no CAT tool that can’t handle complex PDF files, native app string packages or even Adobe InDesign documents. So what are their differences? And why should one choose a single CAT tool above another? Or why should you even buy and download a second CAT tool? With the rise of cloud-based translation environments, why shouldn’t you leave all those RAM-consuming legacy translation suites behind and choose a free cloud solution? Even after years of intensive use of CAT tools I cannot answer these questions easily. 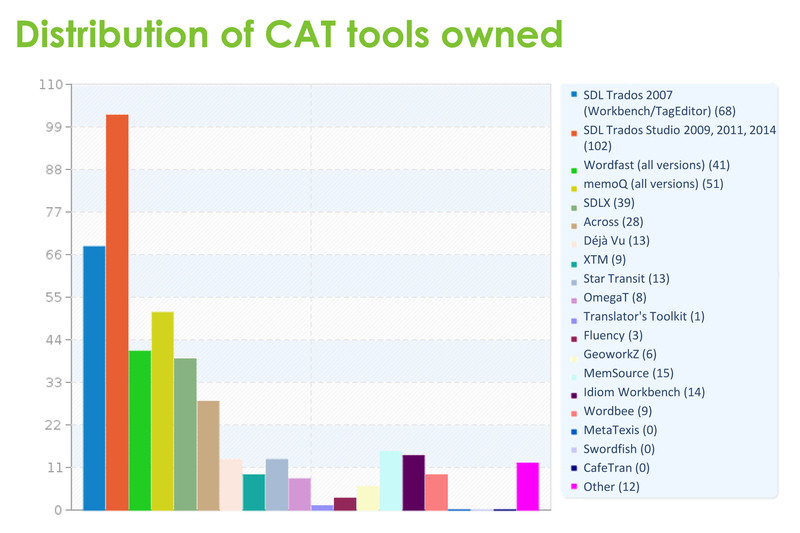 Every single CAT tool is developed simply because developers – whatever their origin, be it a smart entrepreneur or a revolutionary mind from within the translation industry – see room for improvement, gaining some market share and making a profit with their software. Or, if they are somewhat less entrepreneurial and more romantic, to introduce groundbreaking new technologies to translators in order to improve their lives. In order to survive in such a competitive market, these developers need to follow their competition carefully making sure they are at least one step ahead or, in the worst case, one step behind at introducing the features their competitors released some months earlier. 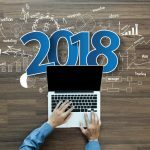 No matter their intentions and technologies, companies introduce (in varying order) support for new file types, drag and drop, new machine translation technologies, hybrids approaching translation memory management and so on. What MemoQ introduced a year ago, Trados Studio will roll out this month while Lilt already added it from the beginning. In the meantime, SmartCat added it as well and it won’t take long before it is introduced in Wordfast as well. That is exactly the biggest disadvantage of today’s overload of CAT tools: they are similar in so many respects that they simply do not stand out anymore, causing stressful choices for translators. This is precisely the second disadvantage. In order to make the right choice (buying a CAT tool often involves a initial investment of some hundreds of euros and regular smaller license costs afterwards), translators need to find out what they need and how they can start using their ‘process and efficiency improvement tools’. On the other hand, these tools all offer their own advantages to many different types of translators. Translators who always translate the same kind of documents can stick to a simple cloud-based tool, those who translate a multitude of different file types can use Trados/MemoQ, those who prefer ease of use and dislike a steep learning curve choose CaféTran (I must admit that I was unable to comprehend it within an hour) and those who can’t make a choice simply don’t use one. 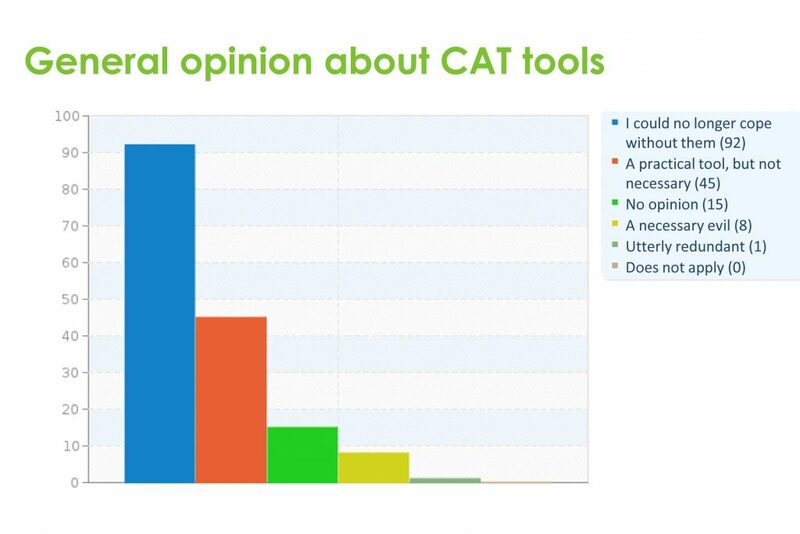 (According to a survey one of my clients held last year 27 out of 161 respondents didn’t use a CAT tool.) And because there are so many documents, processing needs, technological requirements and different types of users, there will always be a solution that fits a particular translator best. Cloud-based CAT tools have their own particular considerations. 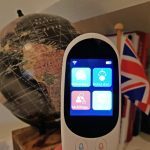 The main advantage of these tools above any other legacy CAT tool is that they are updated every now and then (SmartCat is publishing a new update in each newsletter), so they can respond to emerging threats and technological developments much quicker than any computer-based CAT tool. At the same time they can be used almost everywhere there is internet access, including smartphones and tablets, while for traditional CAT software you need at least a laptop (and, in the case of Trados, even a second license). 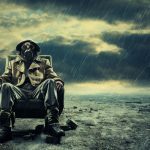 On the other hand, the cloud can prove to be dangerous for sensitive client information while privacy considerations also come into play. 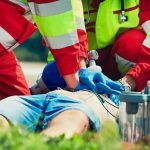 Using a CAT tool for free CAN have negative consequences as to the safety of information. €300, with a ROI of less than a month. That has been my approach ever since: I am open to using new CAT tools but only if I suppose that they will pay off in the not-so-far-away future and for one or more clients. However, whatever CAT tool I buy, I make sure they fully support my requirements regarding project management and being ‘boss’ over my own intellectual property. That is exactly why I do not like Smartling or XTM that much: I simply cannot download my translations, which are handed over to the client and are fully unattainable for me once I have finished a project (for Memsource I found a workaround fortunately). How many CAT tools should you use? Looking back, one might wonder whether there should have been the way back at the time. When it comes to file compatibility, Trados and in particular MemoQ support a number of competitive file types that can even be tweaked with some hacks and extensions to support ‘disabled’ file types. If translators ask me what to do and which CAT tool to buy I advise them to start with one of what seem to be the biggest players in the market: Trados and MemoQ. 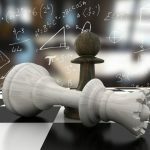 Both support the most file types of whatever CAT tool; under the pressure of new cloud technologies they are developing a hybrid approach in which the cloud is gaining ground. But if you want to go cheap, it is much more affordable to try a free tool first. If it works – great – you can always choose whether to buy it or to go for an alternative. These statistics are derived from a survey a translation agency held in 2015 among translators. There were 331 invitations sent, out of which 161 respondents participated (48,64%). 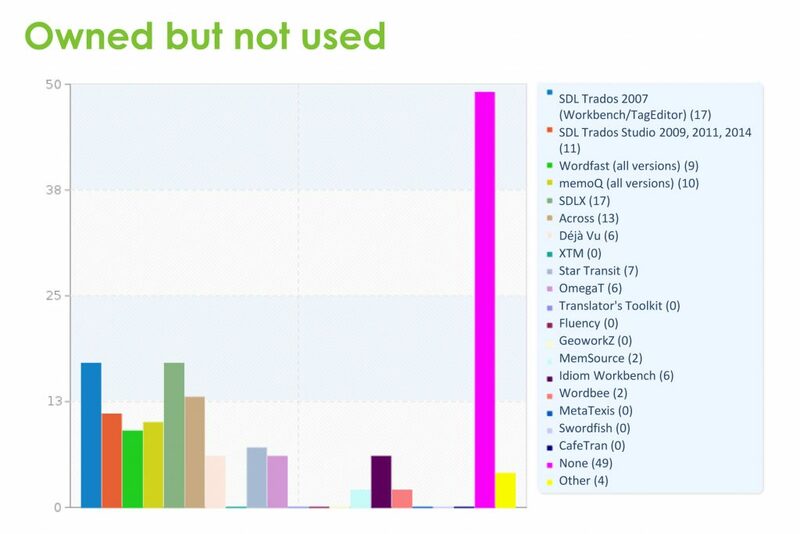 83% of them reported to use a CAT tool; 17% didn’t use one. These statistics are shown here purely to give a general impression of the use of CAT tools among translators for a certain agency. Next post Is a ProZ.com membership worth it? Is a ProZ.com membership worth it?